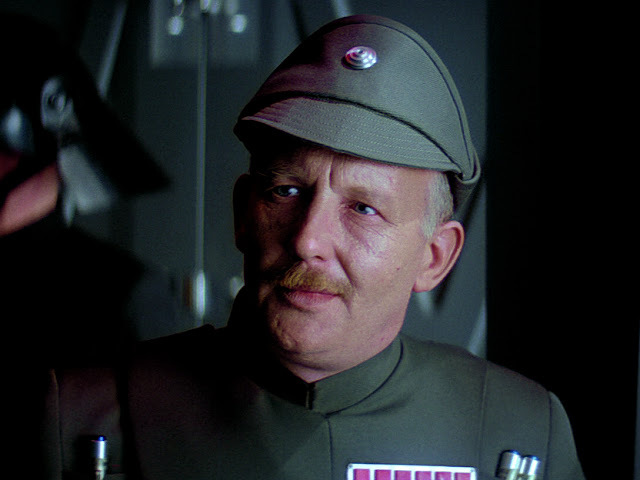 Michael Sheard, who played Admiral Kendal Ozzel in Star Wars: Episode V - The Empire Strikes Back was born on this day in 1938. The Scottish actor played the Imperial commander at the beginning of the second installment of the Original Trilogy before he faced the wrath of Sith Lord Darth Vader for his weak command. The sci-fi star was a regular at the UK Sci-Fi convention circuit and made a number of appearances alongside Jeremy Bulloch, David Prowse and Orli Shoshan at sci-fi conventions. In February 2005, he played a small cameo role as the narrator in Star Wars fan film Order of the Sith: Vengeance and its sequel Downfall - Order of the Sith. Sheard also portrayed Adolf Hitler in a scene in the George Lucas-written Indiana Jones and the Last Crusade, opposite another Star Wars actor, Harrison Ford. The character actor also appeared in six televised stories of the BBC science fiction TV series Doctor Who. The character actor tragically died from cancer at the age of 67 on August 31, 2005.